How many Aunt May's do I have??? As far as I'm concerned, that's fine. Tomei is not hard on the eyes. But as io9 points out, each new rendition of Aunt May is getting younger and younger. Has Marvel learned to start hiring younger and younger so they can retain the same actor for a longer period of time? The new Spider-Man is the 19-year-old Tom Holland. And this way, he MIGHT be able to set some kind of record and play the character for more than three movies! They can also start the younger folks out with a more cost effective contract for the studio, and iron-clad those contracts so the talent can't do what the cast of the TV series Friends did a few times. Which was reneg on their agreements to make more money. Hollywood probably learned from that one. Or there may be something totally different going on here. Maybe Tomei will be part of a flashback? But that idea that they're looking to cast Aunt May yet again, begs the question on if they're going back to some basics and more origins on us? If so, I am not sure just how many times we can have an origin shoved down our throats. But it is all conjecture at the moment. 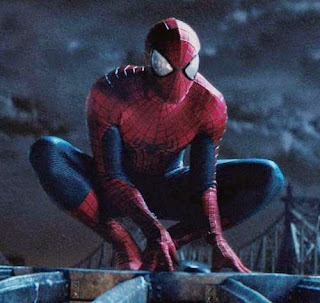 The next Spider-Man film is way, way out there, when the next scheduled Spider-Man movie is due out in theaters on July 28, 2017. That's when the co-produced flick, between Marvel and Sony, hits the big screens.